When I was putting in car stereos for a living, I hated my life. I had a boss whose greatest goal in life was to make the people around him as miserable as he possibly could and still managed to keep his job. To me, that when I first engaged in personal development, it was the first time I ever had anybody telling me something about me that made me believe that I could do anything. I went from making $35,000 a year working 80, 90, and sometimes 100 hours a week, to making $50,000 a month like that. Prosperity of Life to me is a community. It’s a culture where people’s dreams are confirmed. It’s a culture where the individual is validated. 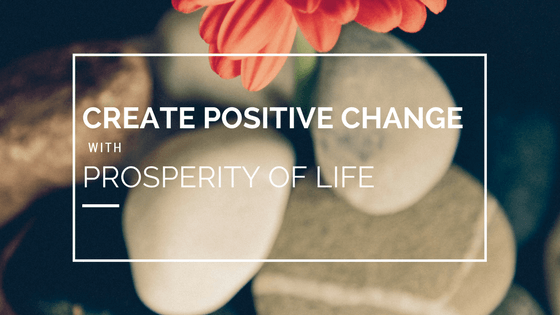 People come into Prosperity of Life because they want something bigger, they want something greater, or they want to do something exceptional in their life. Many times if you speak to your friends, family, or coworkers, you tell them about these phenomenal goals that you have, but you don’t have a positive response. However, with Prosperity of Life, that’s what we’re all about. Not only do we provide the education and the inspiration, but we also provide a community of people that are on purpose and are striving toward extraordinary things in their own life. At the end of the day, it’s results that provide the beautiful life, the conviction, the courage, and the respect. It makes us the opinion-leader: and it gives us the ability to create a massive effect. It is results. Without results there’s nothing. The difference that you can make with this business is unbelievable. The vision of the future is just to assist tens of thousands and then hundreds of thousands of people across the world to experience a better way of life. We’ve got testimonials from people worldwide that have had unbelievable results in their life. My wife and I have a similar vision. We both know what we want. We want it to happen as a result of what we’re doing here. We both have a tremendous passion for helping other people to succeed, showing other people what’s possible, and giving them real tools to accomplish it. We’re just continuing to get better at what we do, and we always have our eye on how to make it more accessible, quicker, faster, easier and powerful every step of the way.